We love the NHS and we all know its massively underfunded. 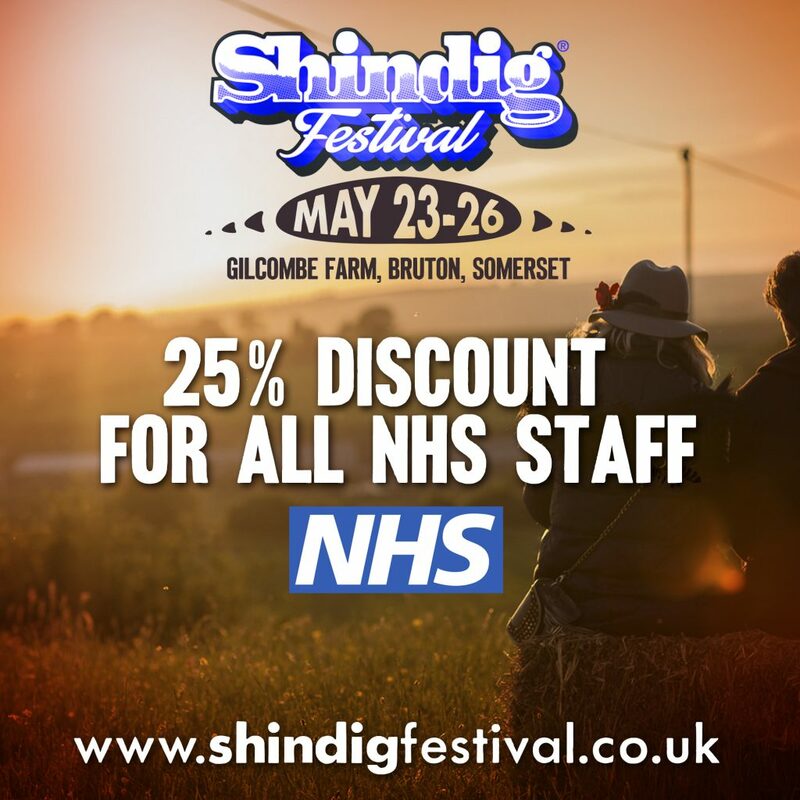 In support of all the wonderful people that work for our NHS, Shindig would like to offer a 25% discount on weekend tickets. All you need to do is email us a copy of your staff ID and we will send you a one time use code you can apply at the checkout. This code will automatically take 25% off your entry tickets. The discount doesn’t include Boutique Camping or Car Parks its just for Weekend Tickets and only valid while we have tickets available.